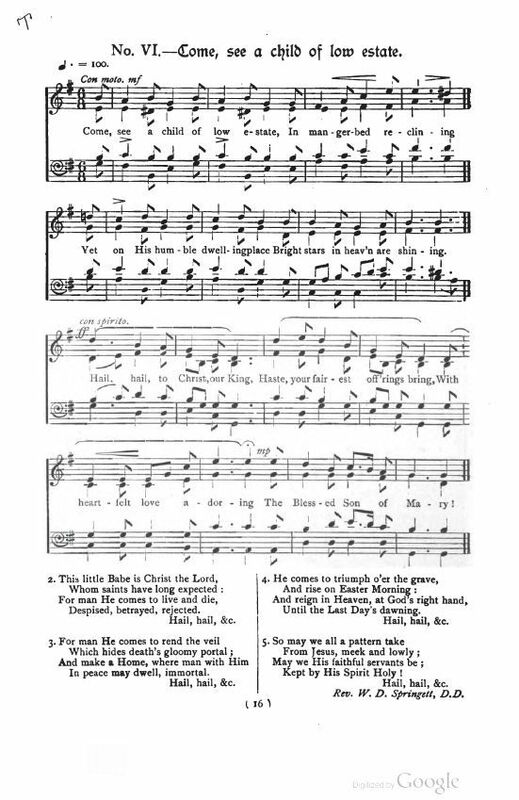 Source: Edgar Pettman, ed., The Westminster Carol Book (London: Houghton & Co., 1899), Carol No. 48, p. 64. Despised, betrayed, re'ected. Hail, hail, &c.
In peace may dwell, immortal. Hail, hail, &c.
Until the Last Day's dawning. Hail, hail, &c.
Kept by His Spirit Holy! 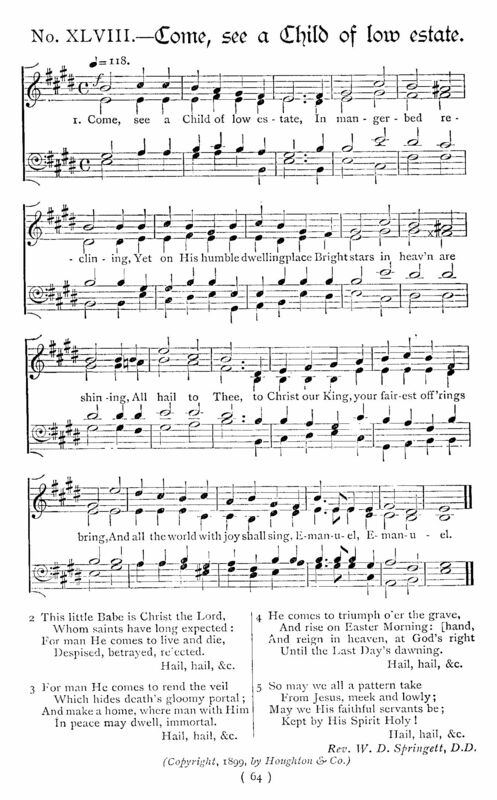 Hail, hail, &c.
Sheet Music from Edgar Pettman, ed., The Westminster Carol Book (London: Houghton & Co., 1899), Carol No. 48, p. 64. Pettman notes: "No. VI.—The first half (in E minor) should be sung by Choir alone, except in the last verse; all joining in the chorus of each verse."